Independently owned and operated by Kaye and Les Williams, who between them have over 45 years of teaching and centre operation experience, Avondale Heights Childcare and Early Learning Centre was founded with a clear vision: to provide children aged from 8 weeks – 6 years with the best possible start in life through access to quality early learning and education. Our childcare and early learning centre is a purpose-built 120 place facility, ensuring a safe, inclusive and stimulating environment for kids. 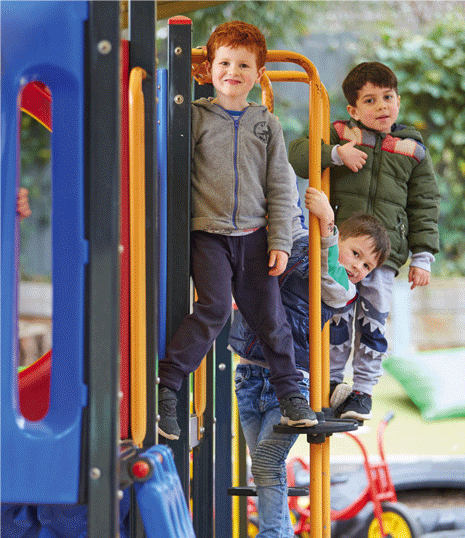 Our building is designed to facilitate the flow of routines throughout the day, including spacious inside and outdoor areas which act as safe environments for learning and socialisation. All of our Educators hold approved Early Childhood qualifications, allowing them to provide experiences and environments that nurture each child’s learning style in a welcoming & friendly care surrounding. We also provide a funded four year old registered kindergarten program, delivered by two qualified Kindergarten Educators. Kindergarten is a time for fun and learning, but we know that it is also a time of transition, preparing your child for their next educational step. We call this ‘school readiness‘! We understand that it can be hard to know what to expect when you’re first enrolling your child into day care. For this reason we warmly invite you, as a prospective parent, to call or drop in to the centre to discuss your child’s needs with our Director, Kerrie. Current parents are welcome to call anytime throughout the day to check in with their children. We also encourage parent participation in our curriculum, programs and events. We provide many opportunities for our parents to get involved and also value feedback on their children’s progress throughout their time with us. Our Centre abides by the Victorian Children’s Services Regulations 2010 and National Quality Standards.